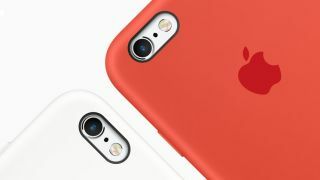 Apple has just announced the iPhone 6S and the iPhone 6S Plus, and they both include some important camera improvements, but you'll lose one feature if you go for the smaller variant. Apple didn't mention it in the press conference, but optical image stabilization for video is a new feature that's only available iPhone 6S Plus. The feature is available on both phones but just for still images, the iPhone 6S Plus is the first phone to feature it for video. It won't be on the iPhone 6S even though the smaller phone has undergone some impressive camera upgrades. We don't really understand why the feature has been missed out when everything else looks to be exactly the same on the camera front. The spec list also shows if you want to take photos while recording 4K video on the iPhone 6S and iPhone 6S Plus, they won't be at the 12MP sensor's full potential. Both the iPhone 6S and iPhone 6S Plus will only be able to take 8MP photos whilst shooting in 4K, but that's still going to create some impressive shots.